#Breckenridge Spring Skiing is Superb! It’s just perfect right now… fresh powder, sunshine, and spring skiing at it’s finest. The beauty of it engulfs you, making it very hard to return to “every day life”… The fresh snow dusts the pine trees, and blankets the ski runs, creating a hush that you can feel. On a run knee deep in powder with no one else around, it’s easy to just be stopped in your tracks by the beauty and the peace that surrounds you, until the thrill of skiing or boarding in all of the fresh powder drives you back into action. 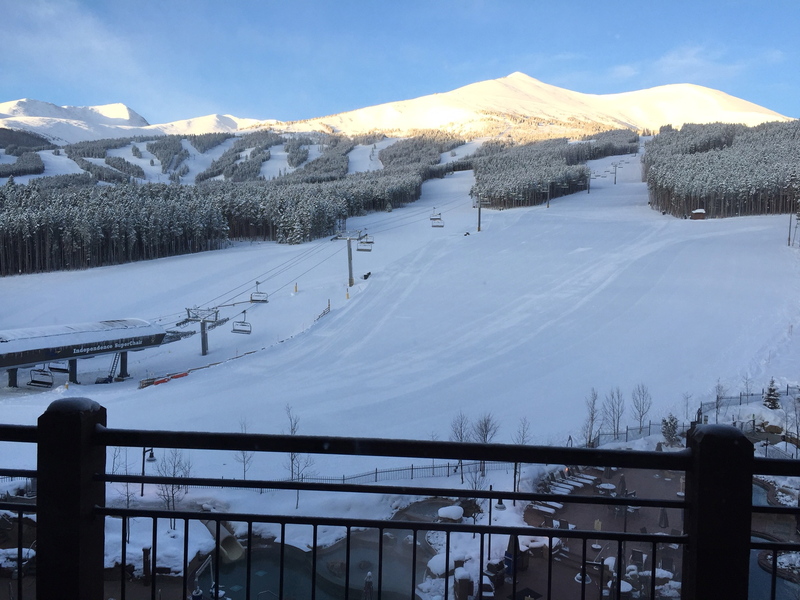 It is a great time to be in Breckenridge, and to ski in the #2 rated ski destination of in all of North America. But it’s not just the great skiing, it’s the town and the people that bring you back over and over again. It’s a quaint Victorian town that preserved its’ early 1800’s mining town heritage. It’s not stuffy or pretentious, but rather warm and friendly… welcoming people from around the world to the slopes and the town. Incredible and eclectic dining, shopping, and of course… lots of family friendly fun from this warm mountain town. Once you come, you will understand. And you will do everything you can to return again and again, even looking for ways to not ever leave. But of course, most of the time that is just not reality. Instead, making it your second home could be a more attainable reality than you realized. While home ownership near the slopes in Breckenridge can be pretty pricey, fractional real estate can deliver the home away from home of your dreams at a price you can afford. Fractional real estate means you only pay for the time you actually use, yet you own a mortgage and have the benefits of home ownership with none of the hassle of upkeep. It’s perfect. This entry was posted on March 8, 2015 by elevatemarketingaz. It was filed under Breckenridge Colorado Luxury Condo Sales, Breckenridge, Colorado Real Estate, Fractional Ownership Real Estate Breckenridge CO, Fractional Real Estate Breckenridge Colorado, Luxury Fractional Real Estate Breckenridge CO, Luxury Fractional Real Estate Breckenridge Colorado, Ski In, Ski Out Luxury Condo Breckenridge Co, Ski In, Ski Out Luxury Condo Breckenridge Colorado and was tagged with Breckenridge Colorado accomodations, Breckenridge Colorado condos, Breckenridge Colorado skiing, Breckenridge luxury condo sales, Brent Henry Breckenridge real estate broker, Grand Colorado on Peak Eight, ski_in_ski_out Breckenridge condo.